WORD Web Design meets the need for high-end hosting and personal service, at an affordable price. Too often, web hosting is a choice of very expensive local service on top-end servers with good bandwidth, or cheap hosting with large non-local companies that oversell bandwidth (slow at peak times and inconsistent service). WORD Web Design fills the gap with top-end equipment and local service, but at priciing that's competitive with the cheaper services out there. Every website requires a host, which is a server where the website "lives". We are experts in fast, affordable and dependable web site hosting. Our primary web servers are attached directly via 10 megabit connection (1.2 megabyte/sec) to two independent tier-1 backbones, powered by UPS (Uninterrupted Power Supply) with two backup natural gas generators. FAST! - Our Intel servers are on one of the fastest connections available in the Northwest, and unlike many hosts, we avoid overselling bandwidth to ensure your website is always performing at peak speed. RELIABLE - 99.99% since 1999. A fully redundant back-up server system with backups also made to a secure remote location. We also offer large data storage capabilities for database hosting, off-site backups, and FTP file exchange. LOCAL - All of our servers are fully owned by us and are located locally in Portland, Oregon. Our knowledgeable staff and friendly customer service are also located here in Oregon. To ensure quality control and the integrity of our customer's data, we do not outsource any of our hosting services or customer service. This is very unique in our industry and is a great benefit to all of our customers. we do not outsource any of our hosting services or customer service. No Set-up Fees! No Contract! No Over Selling of Bandwidth! Call 503 869-4970 or e-mail us to get started. Free Redirects on Business and Corporate Accounts. *The Annual Discounted, or per year, pricing only applies to accounts paid one year in full in advance. No refunds on annual pricing. **Our free tech support is limited to phone & e-mail support only. On site visits will be charged our regular hourly rates. We also reserve the right to limit the amount of free support time. Free support does not include web design or database issues or WordPress support (i.e. is hosting related only). Non-hosting related support is charged our regular hourly rates. The monthly pricing is billed quarterly, or we can bill monthly upon request (no extra charge). The Personal plans are intended for low bandwidth use. If you're expecting thousands of visits, or if you're running locally hosted video, you will need to upgrade to one of our Business plans. 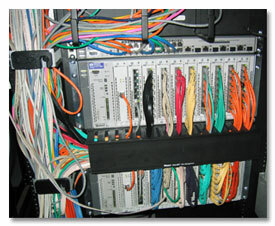 Bandwidth numbers are monthly, and are approximate - call or e-mail us for pricing if you need additional bandwidth. Personal Plus, Business, and Corporate plans include e-mail addresses to match your domain name. Example: yourname@yourwebsite.com. Email accounts include a default of 500mb of space for each address (1gb for corporate accounts), and can be increased upon request. This space is in addition to the web site space. Email type is POP (POP3). IMAP also available upon request. Accounts are billed quarterly (or monthly upon request). Terms are net 20 days on approved credit. Accounts past due are subject to service fees, and interruptions in service. A $25 re-connect fee is charged for accounts interrupted due to non-payment. We reserve the right to change pricing at any time without notice, but we have only changed our hosting prices once, since 1999. Accounts paid in advance lock in their pricing for that period and will not receive any increases during that time period. If you host your website with us, we offer a daily updated server level web statistics page. This is available at no extra charge with all of our plans. Web statistics are password protected and show in depth detail of the number of hits and visits on each page, where the visits are coming from, search engines and search phrases used, and several other useful statistics. Our web statistics, or web analytics, are server based so they do not affect the speed of your website the way some major brand analytics programs do. Your website will require a domain name. This is the address that will be typed into the address bar of a browser in order to navigate to your website. Website domain name registrations are only $16 per year for .com names ($20 for most others). Combined with our excellent service, free domain set-up, and free management - we are your number one choice for domain name registration. An SSL certificate provides secure online interactions with your customers. We have SSL certificates starting at only $50 per year, or the new open source Let's Encrypt SSL certificates for free ($25 one-time setup fee for non-corporate accounts).